Pastor Edmund T. Sherrill is only the 3rd and youngest Pastor in a 80-year history to lead the historic Mt. Enon Baptist Church. He has faithfully served the Mt. Enon Baptist Church for the nine years. During his tenure, conversions, congregational ministries and community outreach endeavors have grown exponentially. With a "Southern Personality," his unique gifting transcends denominational, cultural, ethnical and generational boundaries. 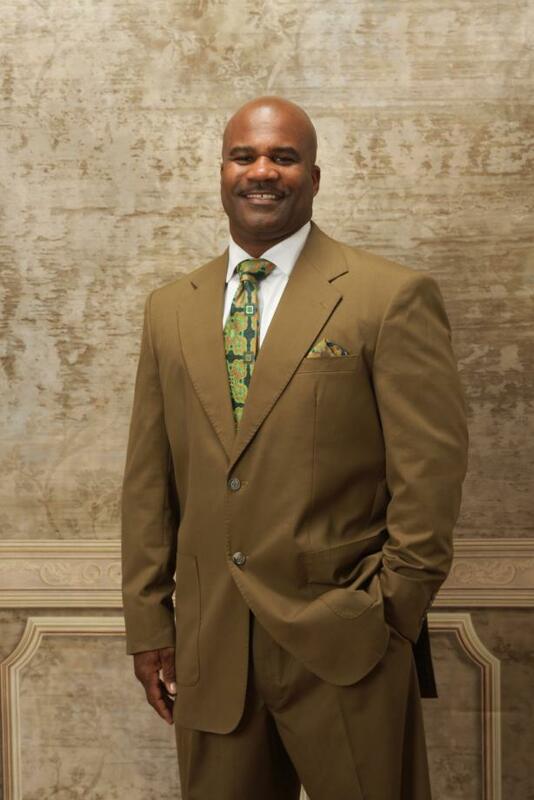 Pastor Edmund T. Sherrill is a native of Covington, Tennessee. He is next to the youngest in a family of eight boys and three girls. He confessed his belief in Christ at an early age and was baptized. He is a first generational Pastor, but comes from a family line that is strong in the Lord. He is the proud son of the late James Curtis Sherrill & Annie Faye Mitchell. Pastor Edmund T. Sherrill received his high school diploma from the Covington High School located in Covington, Tennessee. He continued his education at Southern Illinois University where he graduated with a Bachelor’s Degree in Workforce Education. He received his Master of Education degree from Lincoln University (Pennsylvania) and a Master of Ministry Degree from Biblical Theological Seminary in Hatfield, Pennsylvania. He also served his country in the United States Navy as a Religious Program Specialist. During his military tenure, he received numerous commendations and medals including the "Top Recruit Award" at the Recruit Training Center in San Diego, California. He is currently enrolled in the Master of Ministry Program with Biblical Theological Seminary. Pastor Edmund T. Sherrill is currently serving as Moderator for the Pennsylvania Eastern Keystone Baptist Association. He also serves as president of the Mt. Enon Community Outreach, Inc. He is an active member of the Baptist Minister’s Conference of Philadelphia & Vicinity, Pennsylvania Baptist State Convention, National Baptist Convention, Philadelphia Black Clergy & Vicinity, Police Clergy of Philadelphia, Editorial Publication Committee for the National Baptist Convention, USA, Mission Herald, Phi Beta Sigma Fraternity, Inc.- Nu Sigma Chapter, Kappa Delta Pi International Honor Society, Southern Illinois University Alumni Chapter, Lincoln University Alumni Chapter, where he was honored in 2011 with the “Dr. Frank “Tick” Coleman Award for outstanding service to the Community and a member of Lincoln University's Inaugural Class of the 40 under 40.